By Angela Doland . Published on November 09, 2018. Welcome to Ad Age's Wake-Up Call, our daily roundup of advertising, marketing, media and digital news. Note: Ad Age Next, our conference on the future of marketing and tech, is almost here. It's happening Tuesday and Wednesday in New York. Tickets are still on sale; hope to see you there. Ad Age's Megan Graham reported on the "polarizing" agency culture at Havas Chicago and, a day later, the company announced the departure of a top executive. Graham reports that Jason Peterson, chief creative officer for Havas North America, is leaving the company "on mutual agreement." The company thanked Peterson, who is also a photographer with 1.1 million followers on Instagram, "for his contributions to our organization in North America and [wishes] him all the very best in the future." Nike has Nike+. Google had Google+, until the service was killed off last month because a bug exposed users' personal information. 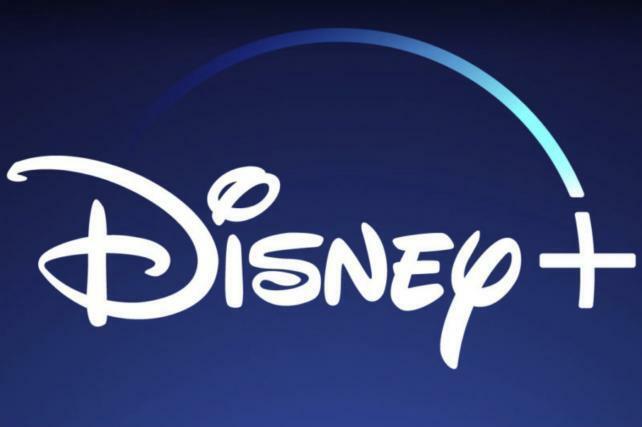 And now Disney has Disney+, which is the name of its upcoming streaming video service. There was chatter on Twitter about why a company brimming with creative geniuses couldn't think of anything more original. Someone tweeted, "Wonder how long and how much money was spent deciding on the name ...?" Another tweet: "I may be unoriginal but at least I'm not the one who named Disney's new streaming service "Disney+." Also: Disney's strong quarterly earnings were boosted by the performance of its movies and theme parks, Bloomberg News reports. "Woof! I'm Chloe, the Director of Barketing at MoviePass. I'd like to explain why from time to time you may have had a "ruff" experience with us but it turns out that I'm a dog and I can't talk. What I do know is that I see these humans working like crazy to make MoviePass better and better for you as fast as possible. They are so grateful for your membership and support while they work it out. We're listening. We're learning. We're changing." MoviePass subscribers, many of whom have been complaining that the money-losing service no longer offers them much, were annoyed. Someone tweeted: "@MoviePass DO NOT PANDER TO ME WITH A CUTE DOG. It's insulting and I hate you even more now." Testing: ABC just ran a show on traditional TV that it had developed for Facebook Watch. If Facebook's video hub allows content creators "to test out ideas and do it quickly and cheaply, that's a good direction for Watch," one analyst tells Ad Age's Garett Sloane. Another notes that "it's a really interesting model; it's a show funded by Facebook, and now it gets a second wind that we can now sell to advertisers." For more about Facebook Watch's "new calling," read Sloane's article here. Shuffle: Six weeks after the merger of VML and Y&R, Y&R Global CCO Tony Granger will retire, Ad Age's I-Hsien Sherwood writes in a look at some creative moves within the new VMLY&R. And Leslie Sims, CCO of Y&R North America, will move to a role at another WPP company. Vaping crackdown: "As soon as next week, FDA Commissioner Scott Gottlieb is expected to announce a ban on the sale of most flavored e-cigarettes in tens of thousands of convenience stores and gas stations across the country," The Washington Post writes. Vaping brands like Juul have taken off with teens. An evolution: Google is revamping the way it handles sexual misconduct allegations in reaction to a mass walkout by employees worried about the issue. Read more in Bloomberg News. Vine 2.0: Looping video app Vine is gone, but its "co-creator Dom Hofmann announced on Twitter today that its spiritual successor is set to arrive next spring," TechCrunch writes. It reportedly will be called Byte. L'inspiration? : A French court ruled that a sculpture by artist Jeff Koons copied an ad from a French fashion chain and ordered him to pay damages to the ad's creator, AFP reports. The ad (and the subsequent sculpture) showed a pig leaning over a reclining woman. Quote of the day: "People are only now starting to understand: We're one of the most Russian companies there is," Moscow-based McDonald's spokeswoman Elena Chilingaryan tells The Wall Street Journal. Amid U.S.-Russia tensions, the fast-food chain's arm in Russia has pushed marketing that touts its use of Russian suppliers, The Journal says. Ad of the day: London's Heathrow Airport has cast a pair of elderly bears in a few ads now; in the most recent edition, the adorable pair has retired to Florida but feels out-of-sorts there during the holidays. It's a sweet ad, but as Ad Age's Alexandra Jardine writes, its release "coincides with some unfortunate timing. Yesterday, Heathrow was closed for a time in the early morning due to a technical problem with its runway lights." The spot is by agency Havas and directors Dom & Nic of Outsider; watch it here.